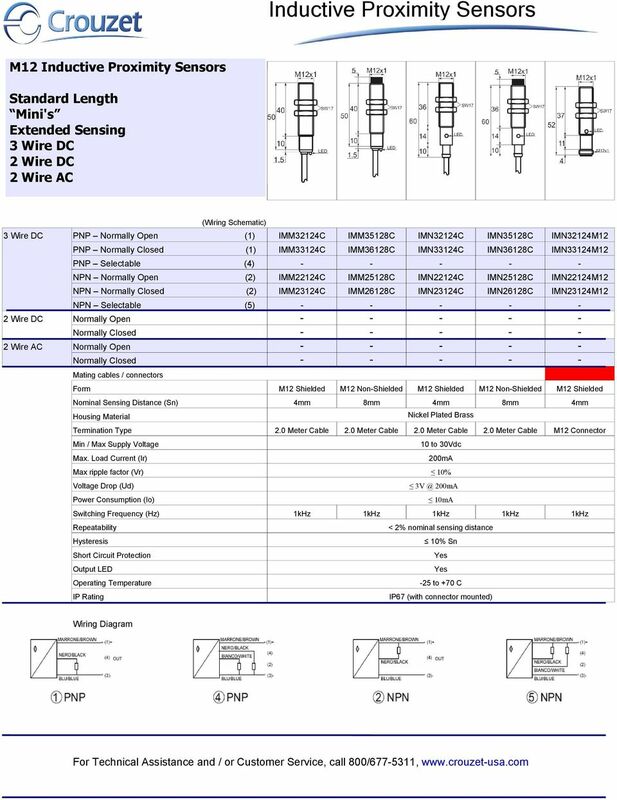 MIN Q SERIES MICRO-PROXIMITY SENSOR DC -WIRE TYPE Diameter Q Q Shielded non-sh ielded Switching Distance, Sn: mm Housing Material With Without.mm.mm Picture Operating Voltage Ripple No Load Current Max. Capacitive Sensor SALIENT FEATURES AC 2-wire and DC 3-wire models LED indication, Plastic/ Brass Housing Built-in Surge & Reverse Polarity Protection Senses Ferrous, metals, plastic, wood, water, etc. Long-distance capacitive proximity sensor. Ordering Information EB-74. Sensors. Accessories (Order Separately) Mounting Brackets. Unshielded. E2K-C. Long-distance Capacitive Proximity Sensor. Ordering Information. Sensors. Accessories (Order Separately) Mounting Brackets. Photoelectrics, Background Suppression reflective with IR light Main features Description The PD30ET... stainless steel sensors are built with high-quality materials and designed for harsh environments. Capacitive Proximity Sensors Capacitive proximity sensors High level of temperature stability Enhanced sensing ranges for functional reserve High level of immunity against: - Electrostatic discharge, e.g. MULTIPLEXED AMPLIFIER ERIE In an industry where most products resemble each other, we have strived to make sure that Telco only resembles Telco in terms of quality, reliability, performance and ease-of-use. 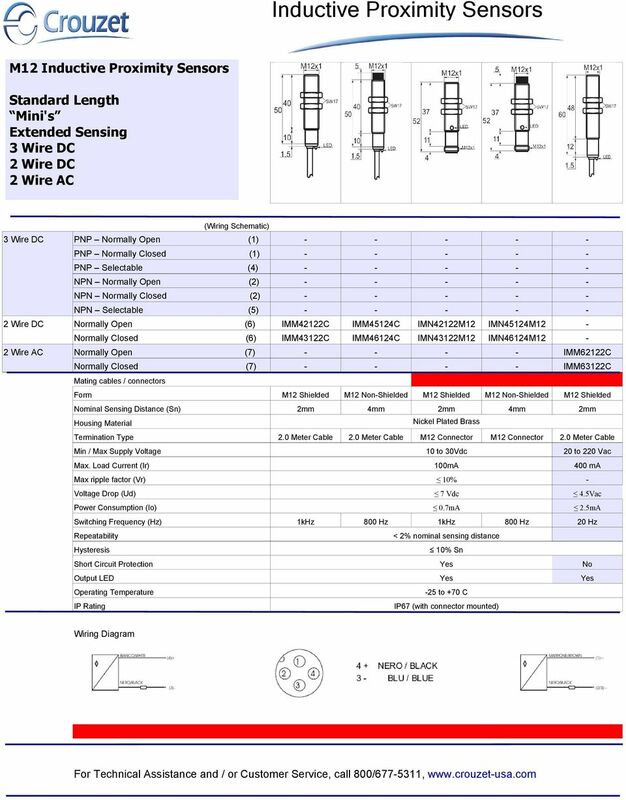 ATEX category II 1 G, Ex zone 0 ATEX category II 1 D, Ex zone 20 SIL2 as per IEC 61508 Threaded barrel, M12 x 1 Chrome-plated brass Rated operating distance 90 mm with DMR31-15-5 magnet DC 2-wire, nom. 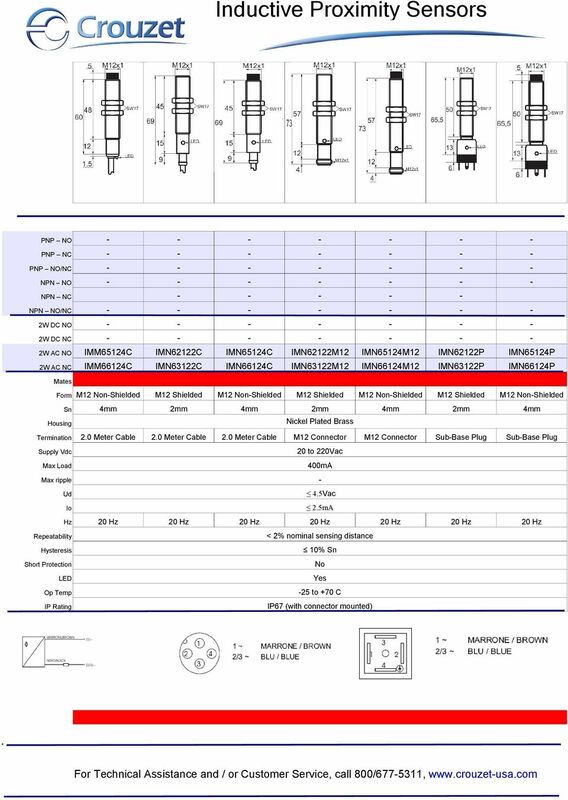 Specifications and description Leuze electronic LS 78 Throughbeam photoelectric sensors Dimensioned drawing 180m 10-30 V DC! Voltage range from 12 30VDC with NPN, PNP and/or relay outputs! Light/dark switching! Anelli Rings (1) (1) (2) (2) (3) TIPI - TYPES CARATTERISTICHE FEATURES. 1mm 3 24Vdc 10 30Vdc 10 30Vdc 10% 10% 200 ma. Interruttori di prossimità induttivi D NELLO Negli interruttori di prossimità ad anello il rilevamento avviene all interno dell anello stesso. Il campo di azione è regolabile mediante vite potenziometrica. Dimensional drawing. 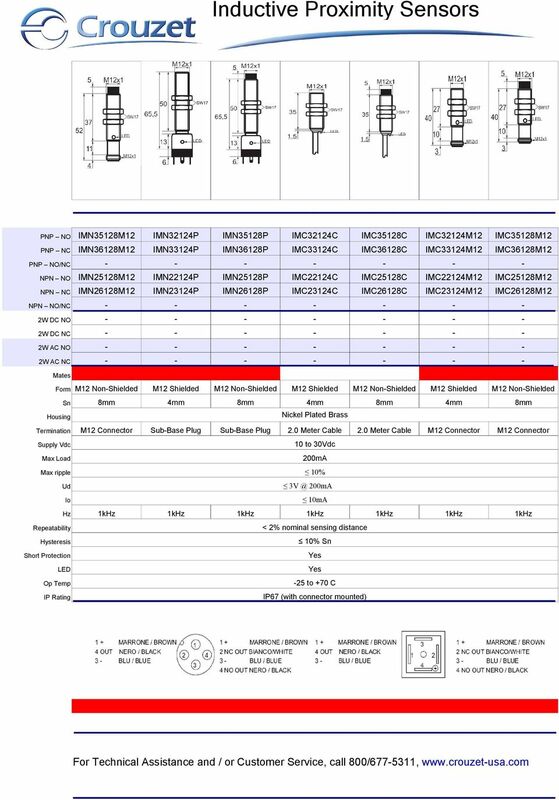 Connection type IME08-1B5NOZT0S IME08-1B5NSZT0S IME08-1B5POZT0S IME08-1B5PSZT0S. 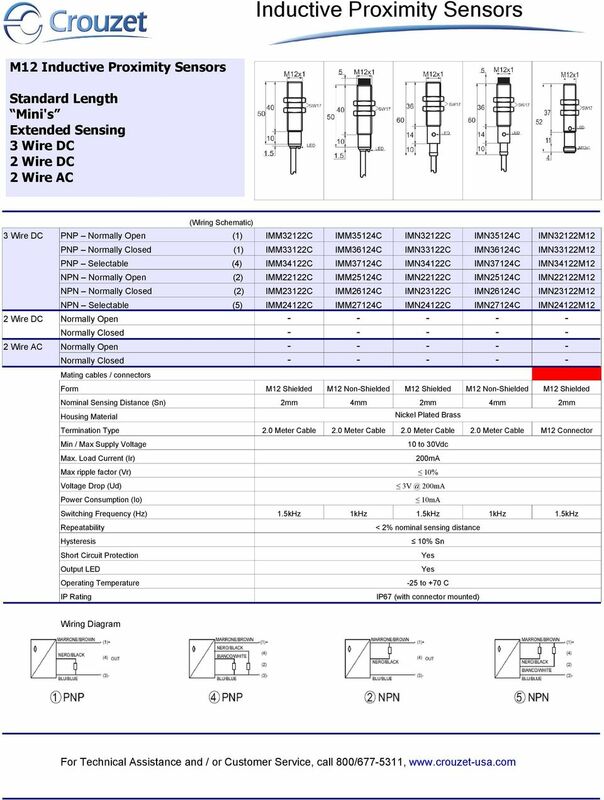 3 x 0.14 mm². brn. L+ Schließer/ Öffner M.
iflex 2400 DSP Automatic Mixer Installation & Operation Manual for the Ivie February, 2009 Copyright 2009 by Ivie TechNologies Inc.